Norbergite: Mineral information, data and localities. Orange-yellow, yellow, orange to brown. Named in 1926 by Per Geijer after the type locality: The Östanmoss Mine, Norberg, Västmanland, Sweden. Usually isolated rounded grains, rarely as crude crystals, well-formed crystals very rare. Visit gemdat.org for gemological information about Norbergite. Calcite 66 photos of Norbergite associated with Calcite on mindat.org. Graphite 40 photos of Norbergite associated with Graphite on mindat.org. Diopside 27 photos of Norbergite associated with Diopside on mindat.org. Spinel 18 photos of Norbergite associated with Spinel on mindat.org. Pyrite 7 photos of Norbergite associated with Pyrite on mindat.org. Phlogopite 6 photos of Norbergite associated with Phlogopite on mindat.org. Fluoborite 6 photos of Norbergite associated with Fluoborite on mindat.org. Marble 3 photos of Norbergite associated with Marble on mindat.org. Dolomite 3 photos of Norbergite associated with Dolomite on mindat.org. Fluorite 2 photos of Norbergite associated with Fluorite on mindat.org. May fluoresce bright to weak yellow to pale yellow in SW; less bright in mid-wave UV, not fluorescent in long wave. 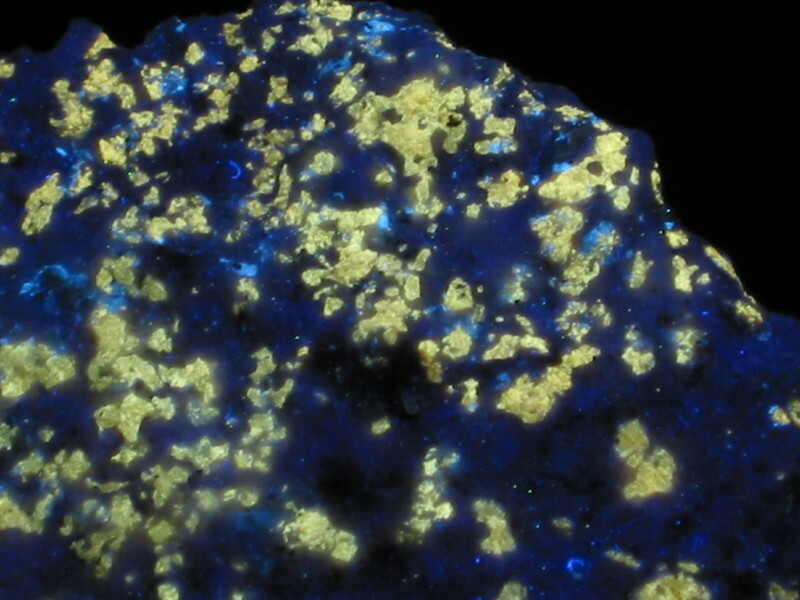 Geijer, Per (1926): Norbergite and fluoborite, two new minerals from the Norberg mining district. Geol. Fören. Förhandl. Stockholm, 48, 84-85. Larsen, Esper S., Bauer, Lawson H., and Berman, Harry (1928) Norbergite from Franklin, New Jersey, American Mineralogist, v. 13, p. 349-353. Gibbs, G. V. and Paul H. Ribbe (1969): The crystal structure of the humite minerals: I. Norbergite. 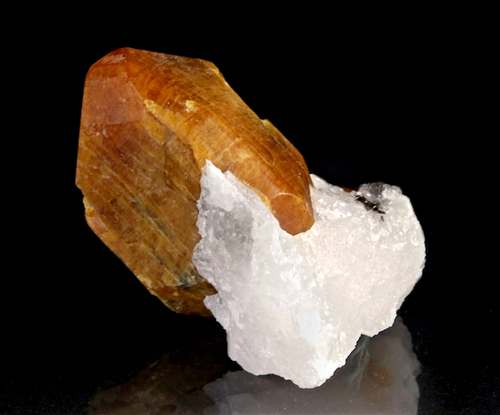 American Mineralogist 54, 376-390. American Mineralogist (1982): 67: 538. The following Norbergite specimens are currently listed for sale on minfind.com. Geological Survey of Canada Miscellaneous Survey 39. M A G Lafontaine (1979) Uranium-Thorium Deposite at the Yates Mine, Huddersfield Township, Quebec. MSc thesis, University of Ottawa. Friend, C., George, M., & Perkins, W. (1993). A new occurrence of musgravite, a rare beryllium oxide, in the Caledonides of North-East Greenland. Mineralogical Magazine, 57, 121-129. Zambonini, F. (1913): Grothina, un nuovo minerale. Atti della Reale Accademia dei Lincei, serie 5, Rendiconti, Classe di scienze fisiche, matematiche e naturali, 22, 1, 801-803; Zambonini, F. (1919): Il tufo piperinoide della Campania e i suoi minerali. Memorie per servire alla descrizione della Carta geologica d'Italia, 7, 2, 130 pp. ; White, J.S. (1981): Grothine discredited, equals norbergite. 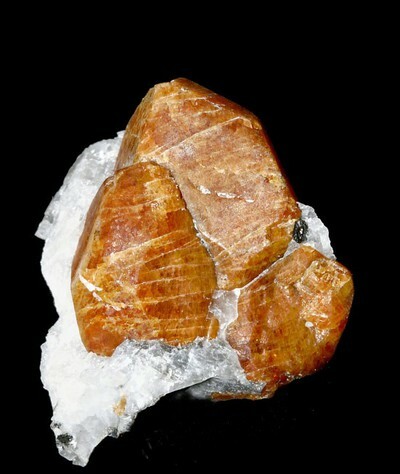 Mineralogical Record, 12, 6, 377-378; Carati, M. (1988): I minerali degli inclusi metamorfosati nel Tufo Grigio Campano. Notiziario del Gruppo Mineralogico Geologico Napoletano, 18, 5-12. Geijer, P. (1926): Norbergite and Fluoborite, two new minerals from the Norberg mining district. Preliminary report. Geologiska Föreningens i Stockholm Förhandlinger. 48, 84-85; Jansson, M. Förekomster med ceriummineral i stråket Möklinta, Norberg, Riddarhyttan och Nora. Betancourt, P.P. (The Picking Table, Vol. 27(2):2-10; Dunn(1995):Pt3:346. Sight identigfication by experienced local collectors and museum officials. Dunn, P.J. (1995), Pt 2: 169. Sinhalite = personal communication with Dr. Paulus Moore (unpublished); remainder - common knowledge among local collectors. ⓘ Townshend lime quarry ?